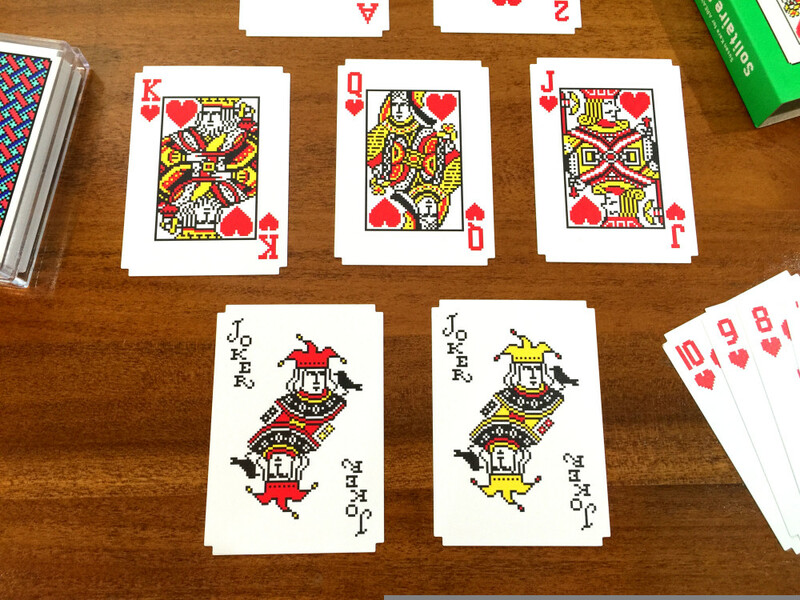 Our Solitaire Cards by Susan Kare received a very thorough review from the blog, Vintage Computing & Gaming. They point out that a few pixels in our deck differ ever so slightly from the original Microsoft decks - as illustrated by the above .gif animation. We love that VC&G took the time to do this kind of pixel analysis. Susan Kare on the design changes, "We had to slightly adjust the aspect ratio for the printed cards. I also had to make vector versions of each card and it's possible that I inadvertently changed a pixel or two in the KJQ cards; nothing intentional. It was a chance to look over everything and aim for consistency. I made the jokers new for Areaware. (I worked with Lisa Smith at Areaware — she was great.)" Read the full review here / purchase a deck.